Wow!! 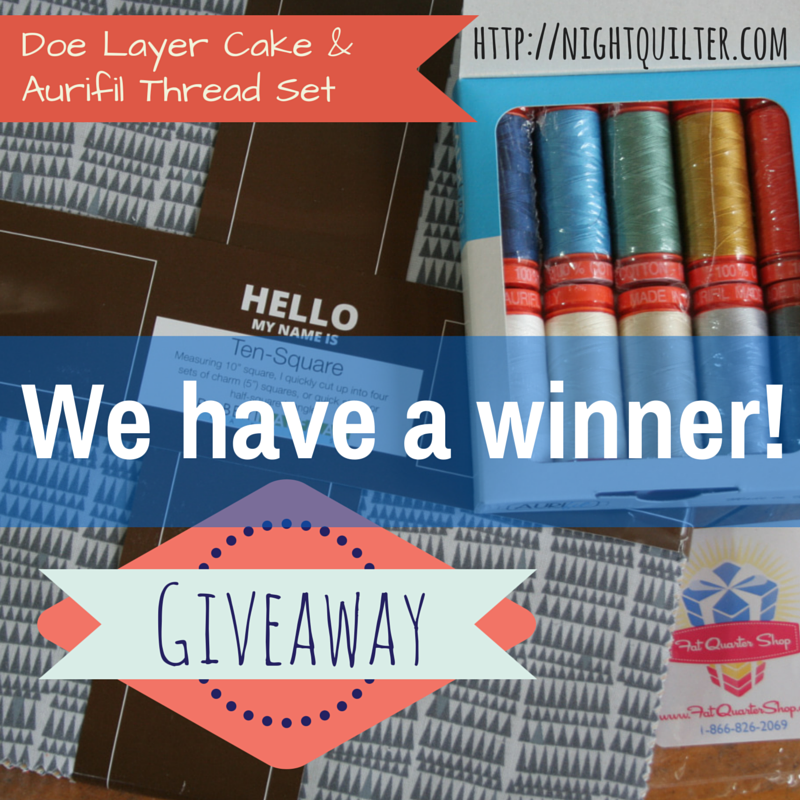 I was floored by the response to my Doe & Aurifil giveaway last week in conjunction with the Fat Quarter Shop Layers of Charm quilt blog hop. 354 comments! Thank you all so very much for your kind comments and new follows. I apologize for not being able to reply to everyone. I appreciate every single comment! 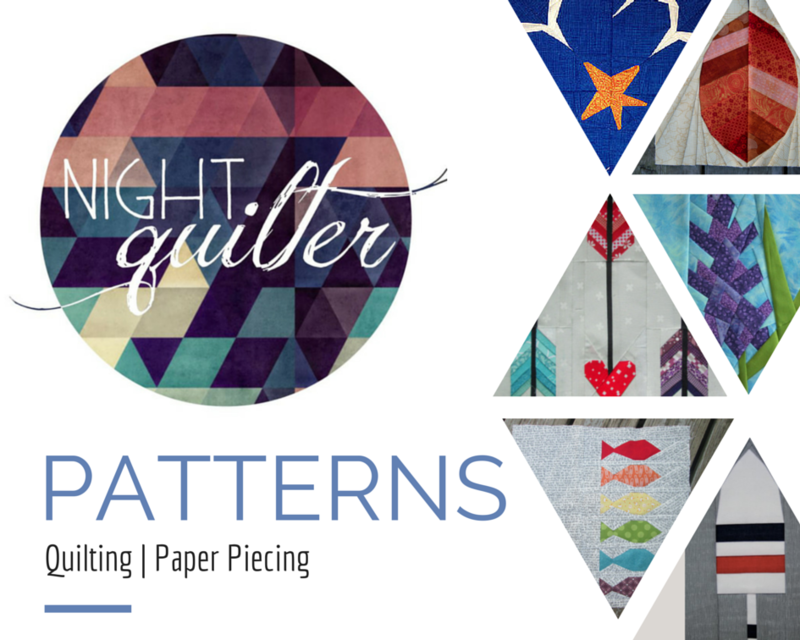 For those of you who said you wanted to make the same quilt I made–if you do make it, I would LOVE to see it, so please tag me @nightquilter! 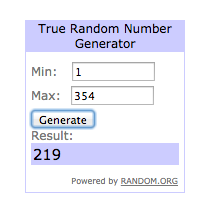 Now, without further ado, it’s time to announce the winner! I counted through all of the comments (don’t worry–I counted twice. Remember: measure twice, cut once. Same rule applies for finding giveaway winners.) and Kriss is our lucky winner! Kriss, I’ve sent you an email requesting your mailing address, so once I hear back from you and your winnings are received, you’ll be well on your way to making your own Layers of Charm quilt! Congrats Kriss – I’m envious! What a fabulous give away. Thanks for the opportunity. Hope you can find your way out of the snow 😦 to Quilt Con.